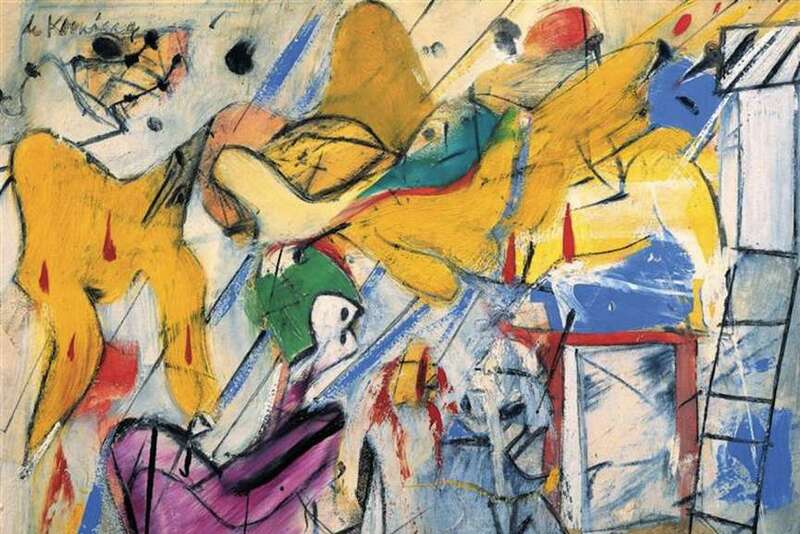 Undoubtedly one of the most crucial painters of the 20th century, Willem de Kooning was a renowned American-Dutch artist as well as a founding member of the Abstract Expressionist movement. 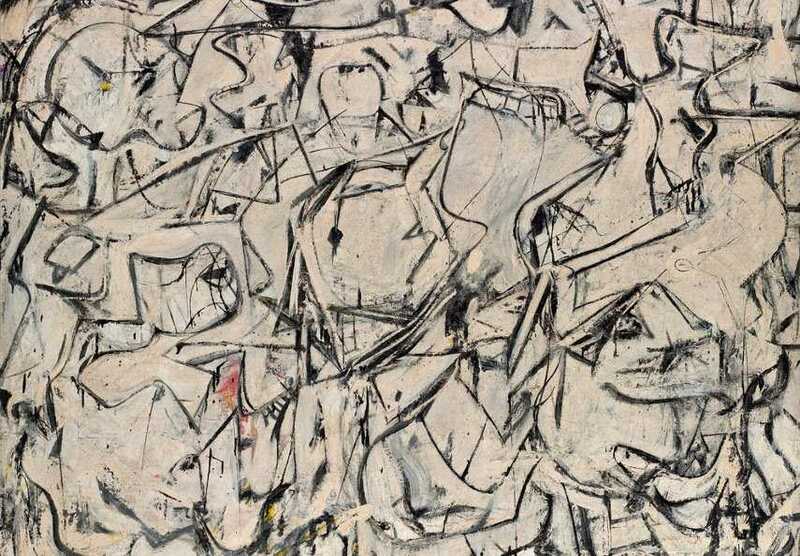 Only truly rivaled by Jackson Pollock in terms of critical acclaim and public fame, de Kooning was arguably the most prominent and celebrated of all the Abstract Expressionist painters. His lusciously gestural oil paintings were very loosely based on figures, landscapes and still life compositions and they helped establish what can now be described as a distinctly American style of modern painting. The fact he maintained a commitment to the figurative tradition to some degree makes this painter truly stand out from the rest of his famous contemporaries who opted for the pure abstraction style. 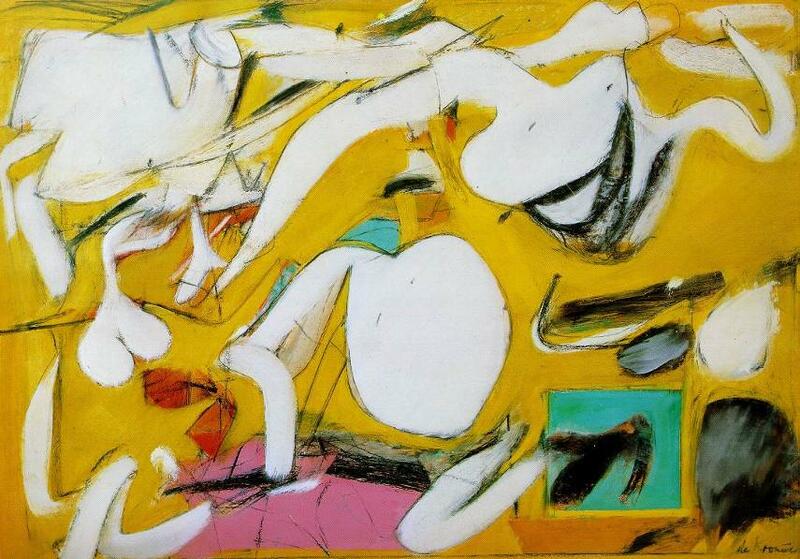 Heavily influenced by Arshile Gorky and Pablo Picasso, de Kooning was often thought to have blended Cubism, Expressionism and Surrealism within his pictorial compositions, ultimately paving the way for generations of gestural figurative painters. De Kooning was born during the year of 1904, in the Netherlands. He embraced the artistic path at a young age, dropping out of school when he was 12 years old so he could begin an apprenticeship in commercial design and interior decorating – dropping out of school in order to pursue a career in modern painting was not an unusual feat as many young artists opted to do so at that time. During this early period of his life, de Kooning took night classes at the Rotterdam Academy of Fine Arts and Techniques. When he turned the age of 16, Willem landed his first job in the industry as he was given an opportunity to work with the art director of a large department store. However, his life did not seem to get any better after he found a job. In 1926, de Kooning stowed away on a ship bound for the United States as he was hoping that the fabled US scene of art will prove to be a much more rewarding place for a young, aspiring artist. He jumped from various jobs in the Northeast until he eventually settled in New York City. Although he had no problems finding a job in the Big Apple, Willem was not able to dedicate himself to his creative pursuits. He worked for several years in commercial art and things seemed as if they did not change all too much from the time he worked a similar job in the Netherlands. However, de Kooning was able to find a like-minded group of artists in New York who encouraged him to paint for himself, to get himself as far away as possible from commercial art. Around the year of 1928, he began painting still lifes and human figures, but it wasn’t long before he was dabbling in more abstract works as he was becoming increasingly more influenced by the likes of the aforementioned Pablo Picasso and Joan Miró. His true breakthrough was in the year of 1935 when Willem was chosen to be the official artist of the federal art project for the WPA (Works Progress Administration) that needed him to paint a number of murals and other similar works. In 1936, de Kooning’s work was a big part of a Museum of Modern Art (MOMA) exhibit titled as New Horizons in American Art. This early career highlight was unfortunately overshadowed during the following year when Willem’s job with the WPA came to an abrupt end – he was forced to resign because he was not an American citizen. Soon after that event, de Kooning began a series of male figures, resulting in many pieces such as Seated Figure (Classic Male) and Two Men Standing. He also hired an apprentice, Elaine Fried, and she would sit as a female subject for many of his works – Seated Woman (1940) comes to mind almost immediately. This piece will prove to be the artist’s first major painting of a woman as de Kooning will go on to be mainly known for his decades-long work in depicting women in his paintings. After they got married in 1943, de Kooning and Fried would have a hotheaded, alcohol-soaked life together before finally separating in the late 1950s. Artistically, de Kooning kept on with his figure depictions while also branching out into more abstract types of work as well. These abstract pieces continued to reveal the presence of human forms within them for the entirety of the painter’s career. Willem’s two artistic approaches finally merged in the 1945 piece titled as Pink Angels, one of his first significant contributions to Abstract Expressionism. Soon, de Kooning become a central figure in the Abstract Expressionism movement. De Kooning’s famous black paintings are also important to the history of this loosely defined style of American painting due to their conceptual core, densely impacted forms and mixed media technique. In the mid-1950s, he turned his abstract sights to landscape painting and so the series Abstract Urban Landscapes (1955-58), Abstract Parkway Landscapes (1957-61) and Abstract Pastoral Landscapes (1960-66) came to be. These landscape works would help define an entire creative era in the author’s artistic life as the turn towards them was a surprising feat to the entire scene. Although the landscape pieces became the focal point of his mature career, the female figure remained an important symbol for de Kooning’s art and his whole life. 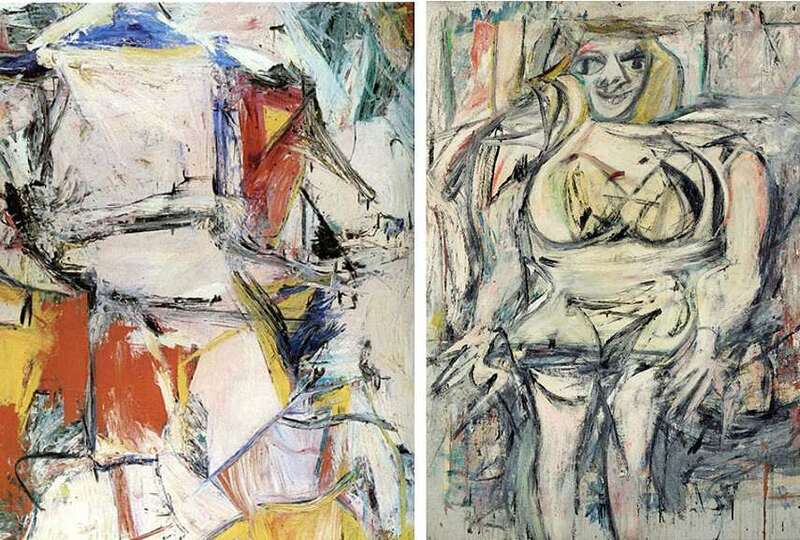 Depictions of woman manifested in de Kooning’s paintings and drawings as a result of desires, frustrations, inner conflicts, pleasures. Early abstract works and mature landscape paintings were also deeply conceptually rooted within the author’s mind, but the portrayal of women remains Willem’s most intimate creative output. 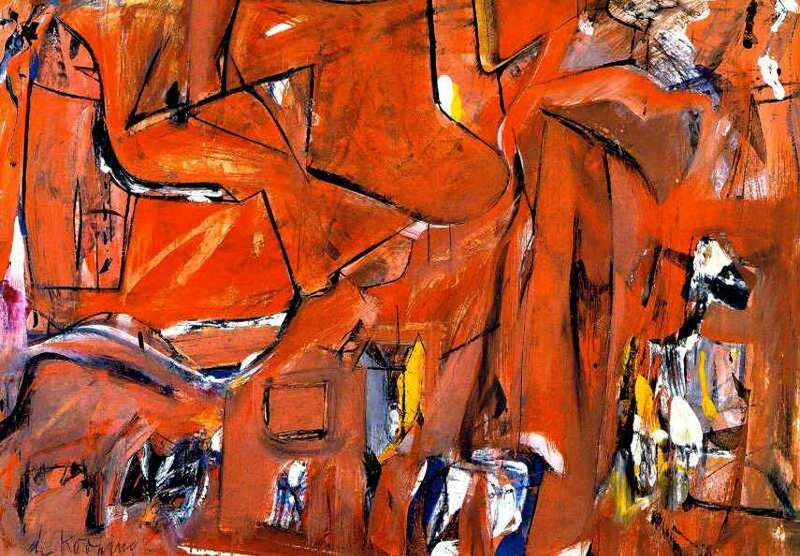 In 1961, de Kooning finally became an American citizen and settled in East Hampton, New York. During the mid-1970s, de Kooning and Fried reunited and remained together until her death in 1989. He continued working throughout the 1980s, but the onset of Alzheimer’s disease destroyed his memory and severely impaired his ability to work. After his wife died in 1989, de Kooning’s daughter cared for him until the moment of his death in 1997. Willem was 92 years old at the time. 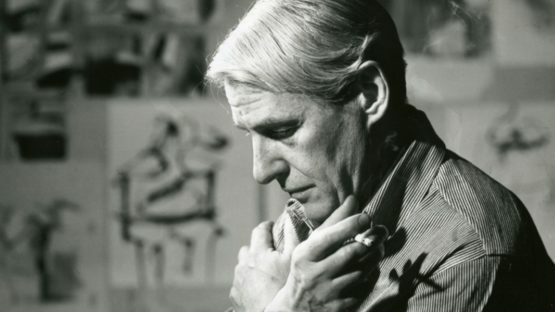 Although everyone was constantly stating that de Kooning loved combining aspects of Cubism, Surrealism and Expressionism, this American-Dutch painter actually opposed the restrictions imposed by naming movements and categorizing works of art. In fact, he was widely recognized as an Abstract Expressionist, yet he never fully abandoned the depiction of the human figure. Such facts lead us to believe that the art of de Kooning created an artistic realm to itself, unbounded by any set of predefined rules or already established visual standards. His early pure abstract paintings, celebrated female depictions and mature landscape pieces – all these works represent what can easily be classified as true milestones of modern art history and are a clear indicator of just how vital the work of Willem de Kooning truly was. This artist is represented by Gagosian Park & 75 New York, Gagosian West 24th Street New York, Gagosian Beverly Hills, Gagosian Britannia Street London, Pace Gallery London, Pace Gallery Beijing, Pace Gallery Menlo Park, Pace Gallery Hong Kong, Puccio Fine Art and Gagosian West 21st Street New York.